The need to understand China has never been more pressing. The global giant is constantly in the news, yet conflicting impressions abound. Within one generation China has transformed from an impoverished, repressive state into an economic and political powerhouse. China expert Jeffrey N. Wasserstrom provides answers to the most urgent questions regarding this newest superpower in a discussion of his new book China in the 21st Century: What Everyone Needs to Know on Wednesday, September 11, 2013, at 6:30 p.m. at the Central Library, 14 W.10th St. Focusing his answers through the historical legacies that largely define China's present-day trajectory — Western and Japanese imperialism, the Mao era, and Tiananmen Square — Wasserstrom introduces us to the Chinese Communist Party, the building boom in Shanghai, and the environmental fall-out of rapid Chinese industrialization. He also explains unique aspects of Chinese culture such as the one-child policy and provides insight into how Chinese view Americans. Finally, he provides guidance on the ways we can expect China to act in the future vis-à-vis the United States, Russia, India, and its East Asian neighbors. Wasserstrom is Chancellor's Professor of History at the University of California, Irvine. His previous books include Global Shanghai and China's Brave New World. This event is co-sponsored by the Edgar Snow Memorial Foundation and the Kansas City Chinese American Association. The biggest Chinese New Year Celebration in Kansas City metropolitan organized by KCCAA is coming back to Yardley Hall of JCCC on Sunday January 19th, 2014. As we are in the process to select the dances to be performed on the stage, limited open positions in our dance team are available and open to public. 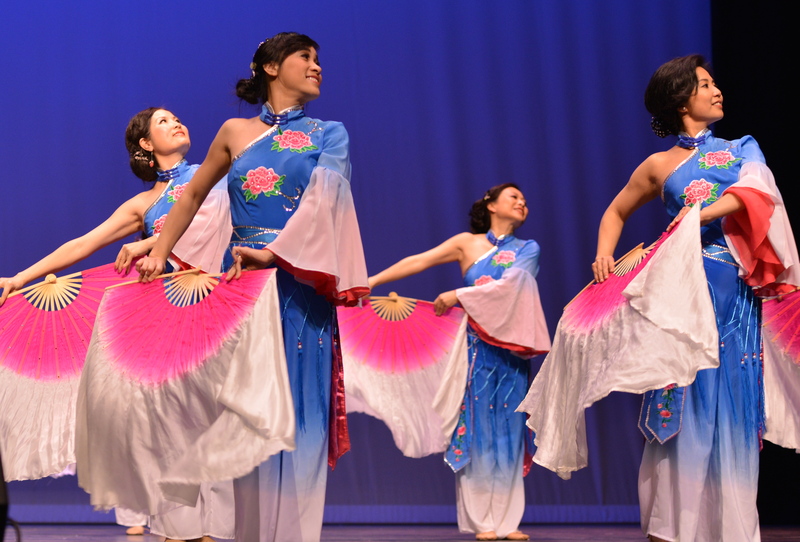 Please join us if you have interests, desires, and passionate for Chinese dances. Participant needs to have basic dance foundation and previous dance performing experience will be a plus. Please contact us at kccaaboardofdirectors@yahoo.com. Registration ends on Thursday, August 22, 2013. The first class will start on Sunday August 25th. Express service: Visas can be obtained on the third business day. An additional fee of $20 per person will be charged. Good news! Another fundraising opportunity for the KCCAA Youth Hope Fund is coming up. 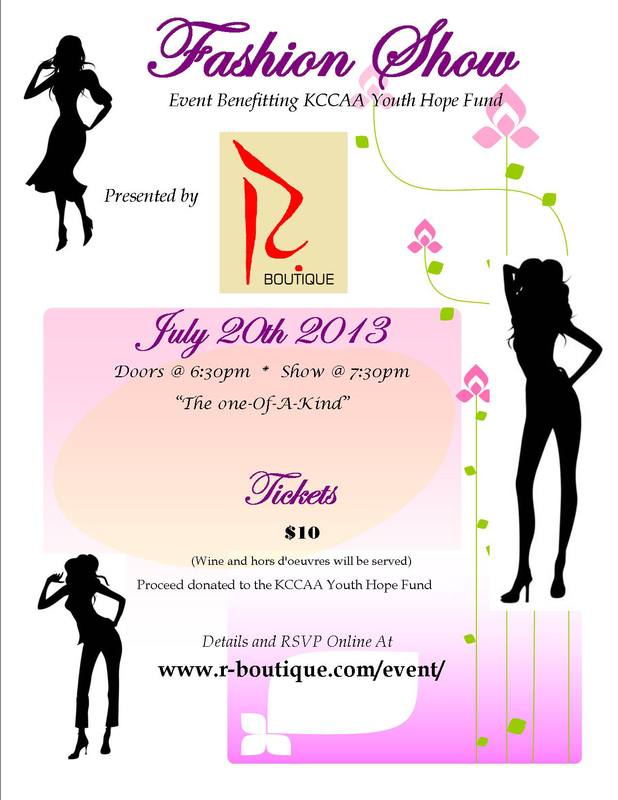 The event is a fashion show sponsored by R-Boutique, and all proceeds from the ticket sales will be donated to the KCCAA Youth Hope Fund. Everyone is welcome to attend this event. RSVP here: http://www.r-boutique.com/event/. More than any other factor, our relationship with China will dictate America's long-term prosperity. After more than a decade of intimate economic relations, China and the United States have become deeply intertwined. Karabell maintains that while neither country is fully at ease with this partnership, the occasional tension over intellectual property, human rights, and regional strategy pales in comparison to the deepening and on-going economic bonds that tie the two countries together. 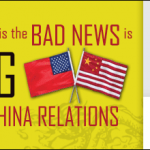 That's the thesis economist Zachary Karabell offers in The Good News is the Bad News is Wrong About U.S.-China Relations on Wednesday, June 12, 2013, at 6:30 p.m. at theCentral Library, 14 W. 10th St. In a world where growth is challenged, China and the United States are powering ahead, in no small measure because of each other. It may be a marriage of convenience, but Karabell argues it is a relationship that serves the needs of both while providing a foundation for a global economy that has seen a challenging few years. Karabell – who in May, 2012, spoke on President Chester Alan Arthur as part of the Library's Hail to the Chiefs series — sits on the board of the World Policy Institute and the New America Foundation and is a member of the Council on Foreign Relations. How China and America Became One, A Visionary Nation: Four Centuries of American Dreams and What Lies Ahead, The Last Campaign: How Harry Truman Won the 1948 Election and Peace Be Upon You: The Story of Muslim, Christian and Jewish Coexistence. The event is co-sponsored by the Edgar Snow Memorial Foundation and the Kansas City Chinese American Association.